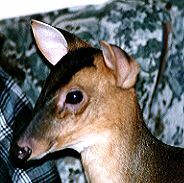 - the Munjac in the living room! 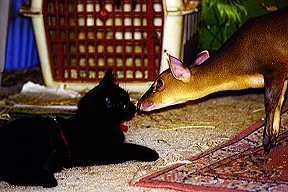 Matilda is a Reeves Muntjac. 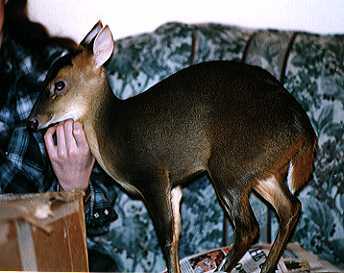 An atypical Reeves Muntjac. 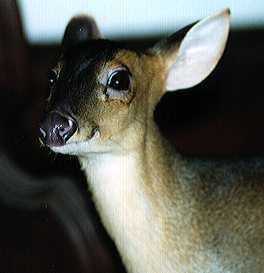 Most Muntjac deer are very shy and retiring. Not Matilida, She craves the spot light and wants to be the center of attention. And her boyfriend Bear is a predator no less! You can send Matlida e-mail. Go to Waltz.net and see what other critters we have running around.